World Refugee Day, international observance observed June 20th each year, is dedicated to raising awareness of the situation of refugees throughout the world. 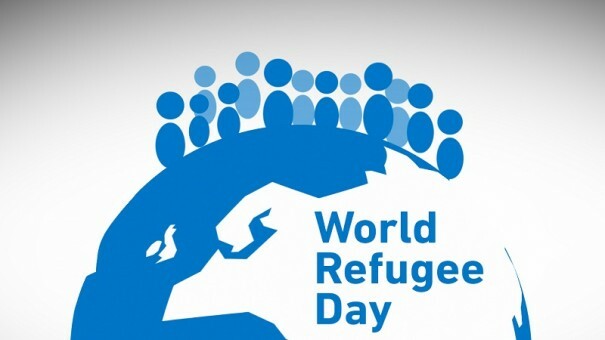 On 4 December 2000, the United Nations General Assembly in Resolution 55/76 decided that, from 2001, 20 June would be celebrated as World Refugee Day. In this resolution, the General Assembly noted that 2001 marked the 50th anniversary of the 1951 Convention relating to the Status of Refugees. African Refugee Day had been formally celebrated in several countries prior to 2000. The UN noted that the Organization of African Unity(OAU) had agreed to have International Refugee Day coincide with Africa Refugee Day on 20 June. In the Roman Catholic Church, the World Day of Migrants and Refugees is celebrated in January each year, having been instituted in 1914 by Pope Pius X. Each year on June 20th the United Nations, United Nations Refugee Agency (UNHCR) and countless civic groups around the world host World Refugee Day events in order to draw the public’s attention to the millions of refugees and Internally displaced persons worldwide who have been forced to flee their homes due to war, conflict and persecution. The annual commemoration is marked by a variety of events in more than 100 countries, involving government officials, humanitarian aid workers, celebrities, civilians and the forcibly displaced themselves.